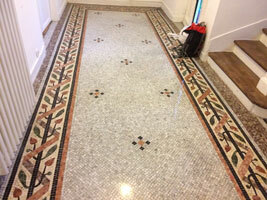 Located in Paris, France, Quartz Renov is a industry leader in marble, natural stone, terra cotta, tiles, granite, terrazzo, mosaic, wood floor renovation and maintenance in residential or commercial properties. We built a reputation of first class service and honesty over the years. Whether you are looking for a quick sanding and/or polish, or a deeply restoration of your floor or coating, our company here to accompany you in your project. Discover our different services ! 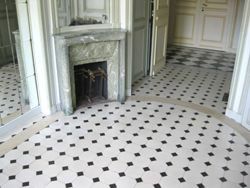 Don’t let your marble or natural stone floor untreated ! 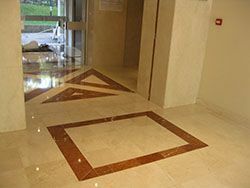 Specialised in floors and coatings maintenance, we realise stain removals, scraping and crystallisation floor polishing. That kind of service is generally annual or bi-annual. 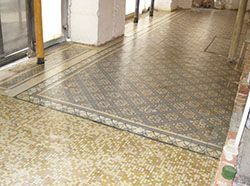 We repair and restore your floor or coating with lippage removal, sanding, polishing or scraping. We finish with a treatment care in respect with material. This service includes holes, scratches and cracks reparation, masonry works as broken stair steps reparation, broken tiles replacements.